Cash Gifts—currency, checks, money orders or credit cards. Online Giving—Click here to use this convenient option. Matching Gifts—contact the Human Resources office of your employer to find out if they will match your donation. Stocks and Bonds—giving appreciated stocks can create the same tax deductions as a cash gift while avoiding capital gains and transfer fees. The Lutheran Home was founded in 1906 as a home for retired pastors and teachers. Over a century later, the Lutheran Home’s mission still drives the excellent, Christian-centered compassionate care that our elderly residents receive. 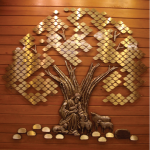 The Tree of Life is prominently displayed in the Lutheran Home’s lobby. It is a graceful symbol to all who enter that there is a Shepherd who loves us and will always care for us. 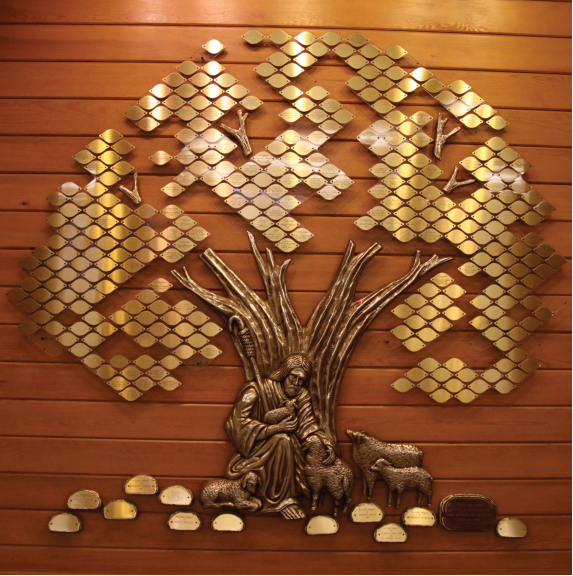 Given to the Lutheran Home in 1987 in memory of resident Benita Oertel, this brass sculpture has become a growing tribute to the generosity and goodwill of donors to the Lutheran Home Foundation. The tree’s leaves are inscribed to memorialize someone who has been a very special part of our Home. As visitors and residents pass the tree, they often pause to reflect on the love and friendships represented there. With your generosity, our Tree of Life will continue to grow. Your goodwill helps us to continue to care for those elderly residents who have outlived their resources. 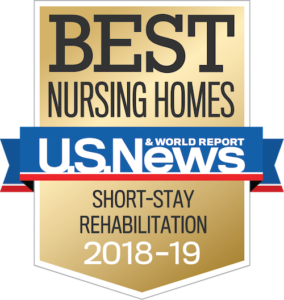 We invite you to give, and help ensure that no resident will ever have to leave the Lutheran Home because of an inability to pay for their care. The Tree of Life is a loving and lasting way to memorialize or honor a loved one. For gifts of $1,000, or by directing memorial gifts to the Lutheran Home Foundation, a memorial or tribute leaf will be personalized according to the donor’s wishes. For additional information, please call Heidi Mayer, Executive Director, at 414-258-6171 ext. 744 or e-mail heidi.mayer@thelutheranhome.org.